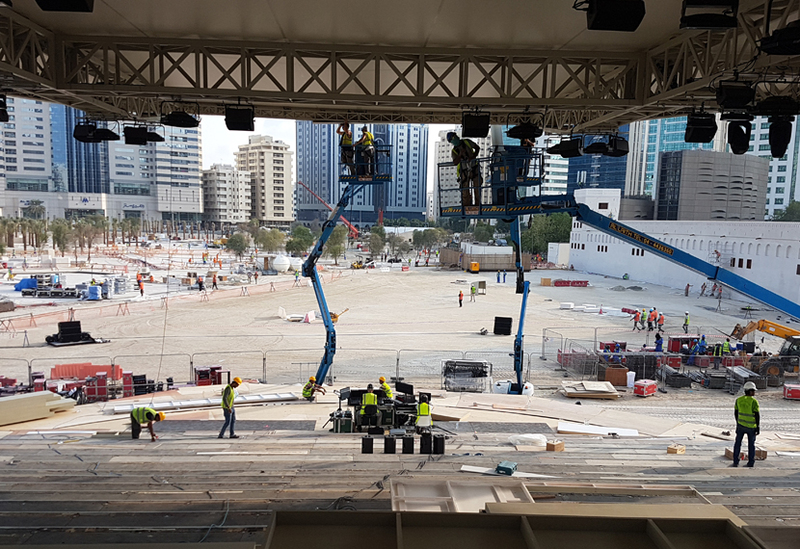 The 100-tonne revolve was the largest we’ve ever installed: both in diameter but especially with regard to load capacity. 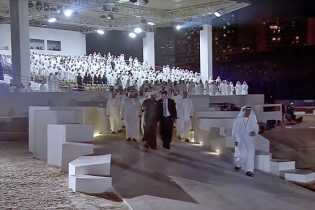 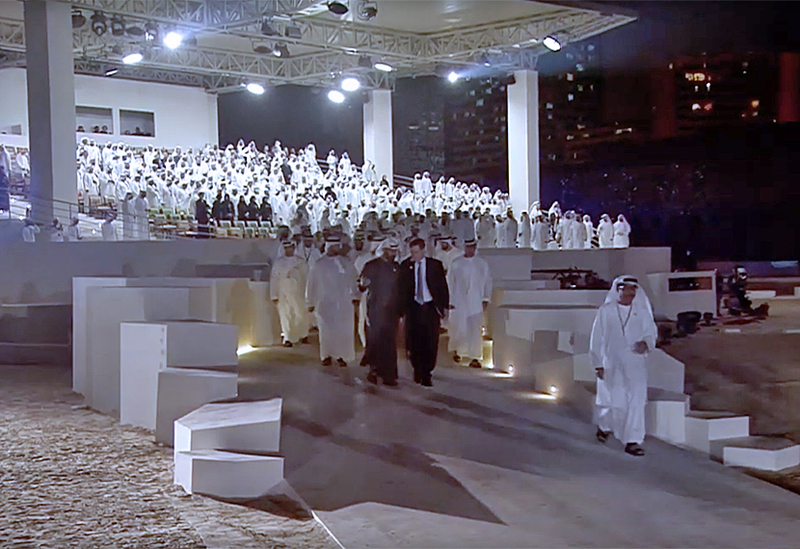 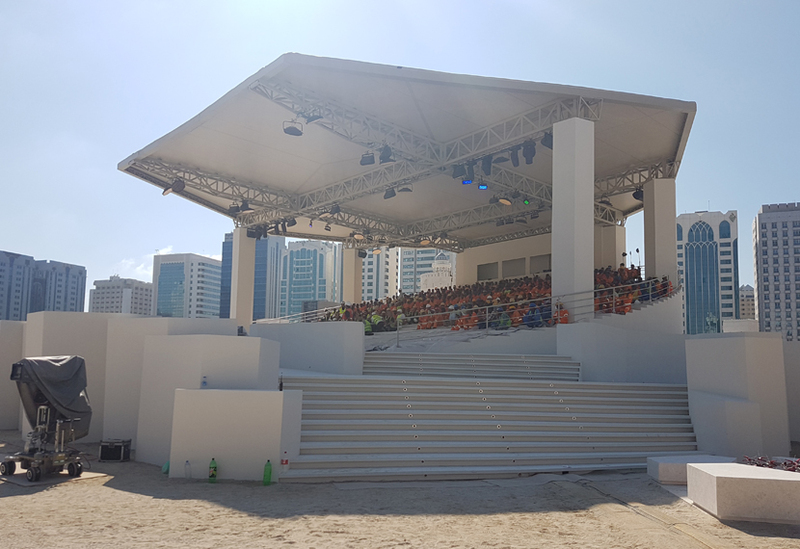 With a substructure 2.3m from the ground, the revolve slowly turned a 500-strong audience through 191°, gradually revealing the entire Qasr Al Hosn site including newly constructed lake, landscaping and the renovated Qasr Al Hosn fort. 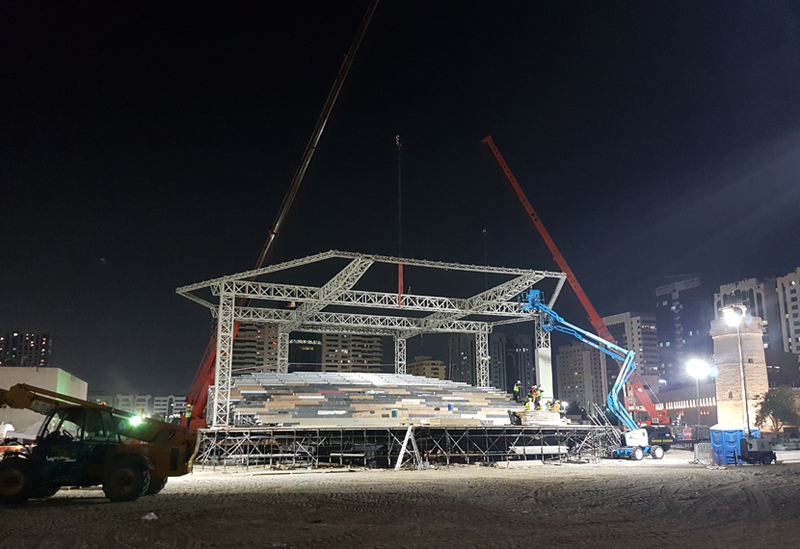 The revolve supported the additional weight of a 12.3m high 40-tonne roof with a 10m cantilever as well as the 60-tonne load capacity for seating and audience. 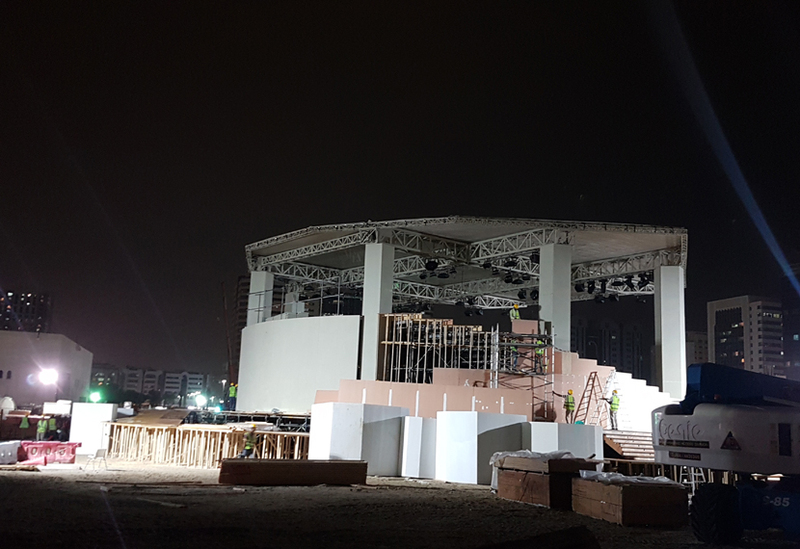 A 14m stock revolve provided the central core and this was extended with a bespoke outer ring, creating a single mammoth revolve of 28m. 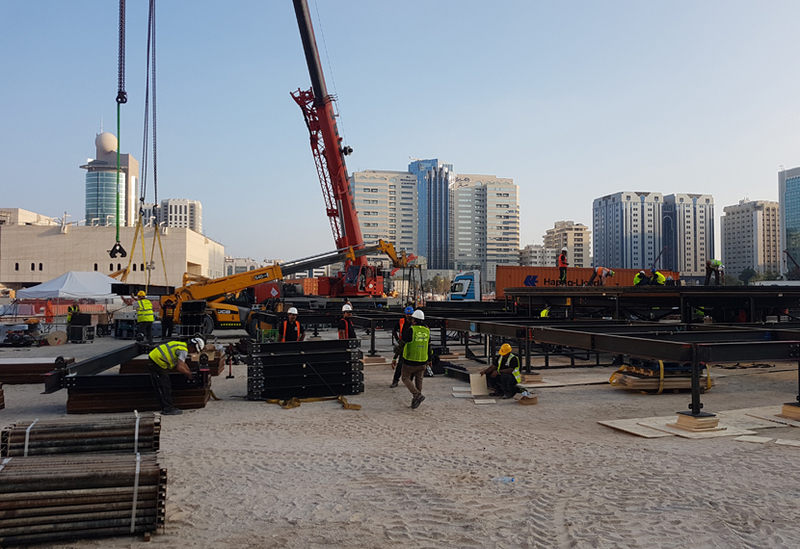 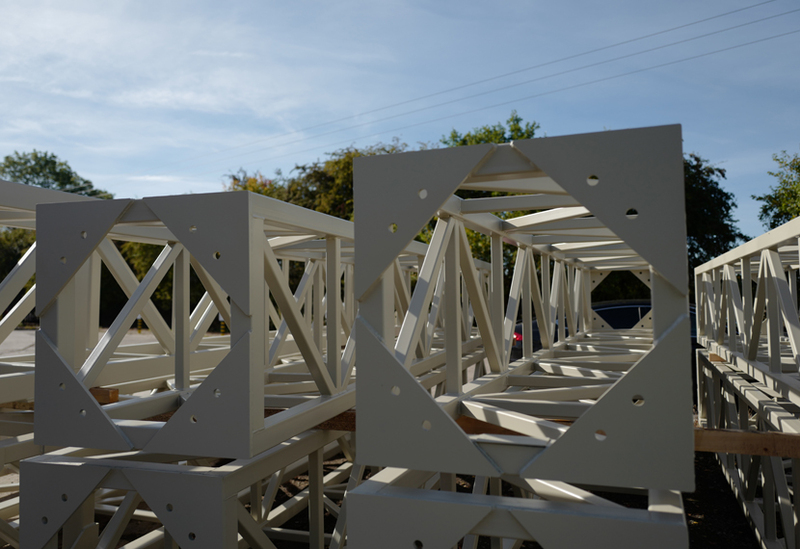 After a six-week fabrication in our metalshop, the revolve and 28m roof structure were shipped to site for the 5-day build. 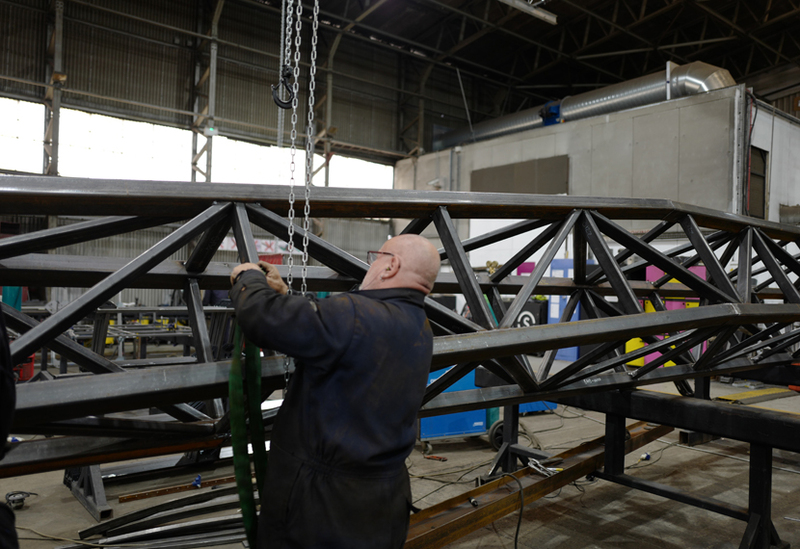 Our site crew fitted all facia and trim around the revolve perimeter, adding treads and ramps as required, also fitting the printed roof skin to the steelwork structure. 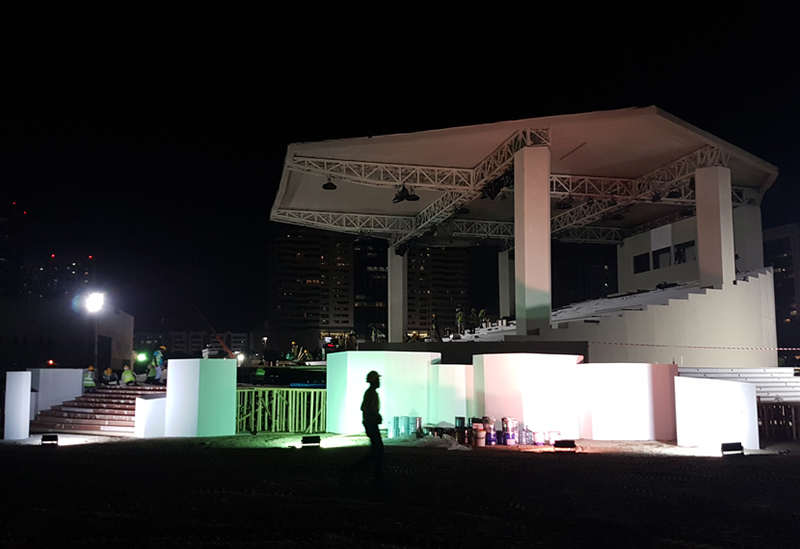 Projection onto the various geometric forms across the site played a major role in the show, the revolve speed adjusting at various points to enable the gradual reveal of the site’s history.